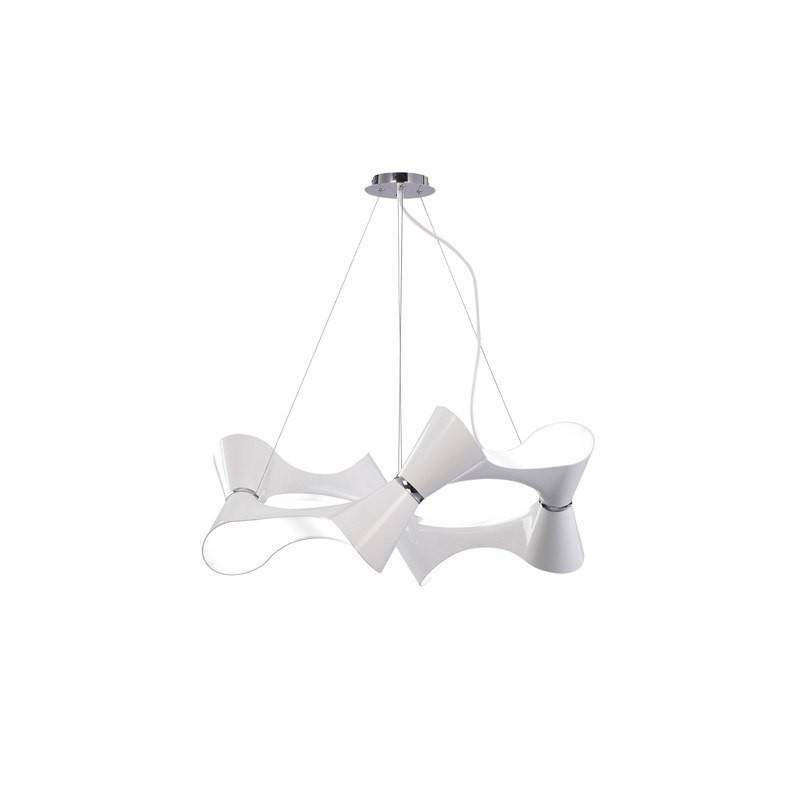 MANTRA Ora pendant lamp 8l manufactured in white polymer and chrome metal finished. 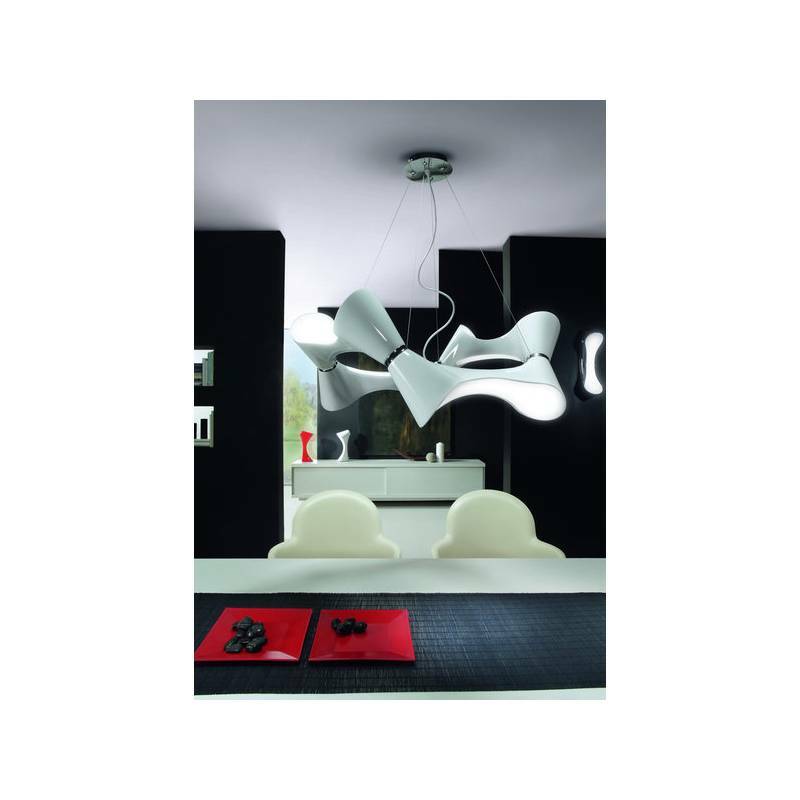 MANTRA Ora pendant lamp 8l manufactured in white polymer and chrome metal finished. Ora is an original collection to light your spaces with an efficent and unique avant-garde design. 8xE27 13w Max.